Samsung announced today that it's expanding its second recall of the Galaxy Note7 and would be offering a rebate of $100 to owners of the Galaxy Note7 who swap their phones for another Galaxy smartphone. This second recall applies to customers with both the original and replaced units of the Galaxy Note7 in the US regardless of whether it was purchased before or after the 15th of September 2016. This expanded recall is being is coordinated by Samsung with the United States Consumer Protection and Safety Commission, and would availing customers a replacement device or a full refund on both new and used models of the Galaxy Note7. 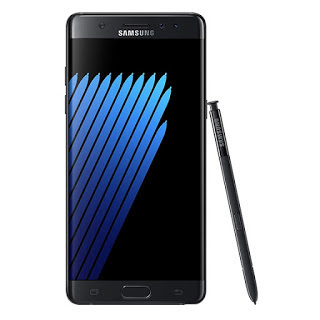 Users who choose to replace their Galaxy Note7 would be getting a rebate of $100 as bill credit. While those who choose to get a smartphone from another manufacturer would get a rebate of $25. Users can get the rebate by visiting their carrier's store or retail store to make the exchange.